This post contains affiliate links. Printiki provided a free sample for review, but all opinions are my own. Having a high-res camera in my phone has meant I take more pictures, but print fewer than ever. I used to be the girl at parties in college shooting photos of everything, posting them to Facebook immediately (things were so simple then…), and printing the keepers. I think in 2016 I printed one photo – a goofy one of Pedal Steel and I. They’ve been piling up, but what is the point of even printing them now? I don’t scrapbook anymore, and since everything is digital, I don’t need extra clutter around. That’s when I discovered Printiki. They offer high-quality prints at affordable prices and several different size options. They offer not only prints but also photo books and posters of all different layouts and sizes. Their motto is “you are worth printing,” which I think is such a clever slogan. My prints arrived in about a week, and the matte paper I chose feels so buttery. (That might be weird, but it feels so nice!) Unlike other services I’ve used to import photos from Facebook, these aren’t grainy or pixellated at all – those photos are just as high res as the ones I uploaded directly. The Retro prints are great to give any space a real-life Instagram look – I’ve hung several on clothespins and string in my room. It’s also a fun way to add some friendly faces around your desk while working. 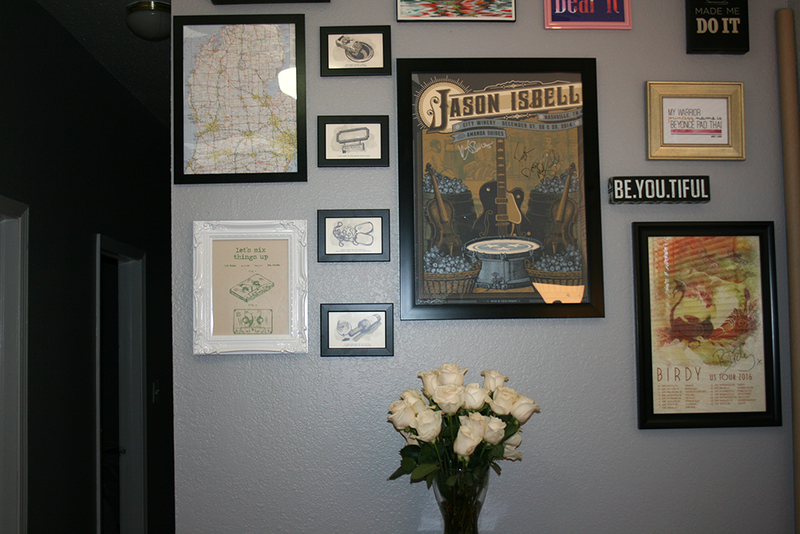 They’re also really adorable in a floating frame (like this one from Amazon) mounted in a reading nook! For the next round I order, I’m going to make them into magnets with some magnetic tape – cut up the photos and you could even make a refrigerator puzzle! 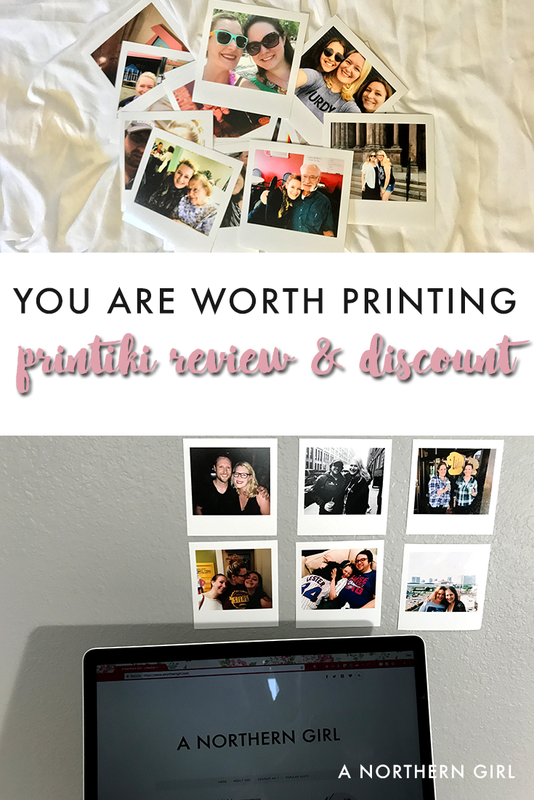 Printiki’s Blog is also beautiful – it has inspiration for what to do with your photos, and a lot of it can inspire home decor ideas as well. The post on how to organize photos on your phone is going to help me get my 9,000+ photos under control for easier organization. Use promo code GJHHPWWE for free shipping! 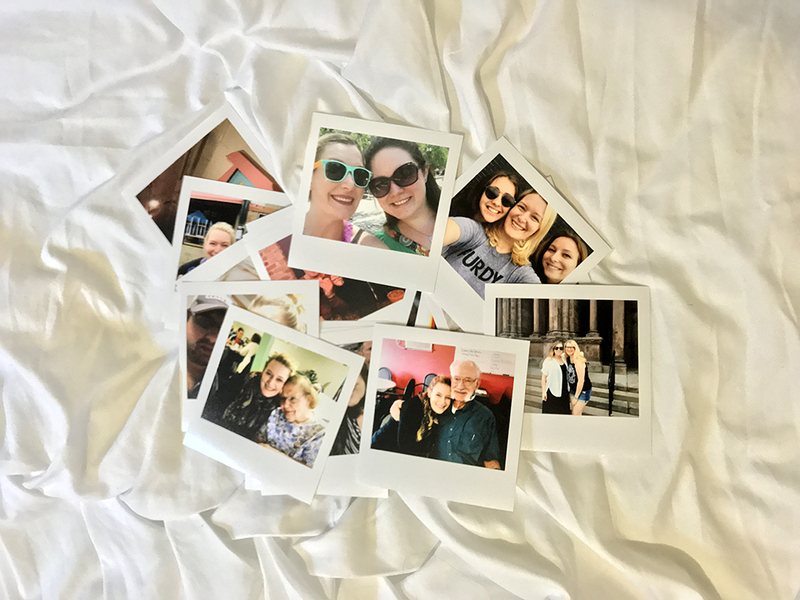 Do you print your photos? What creative ways do you display yours? 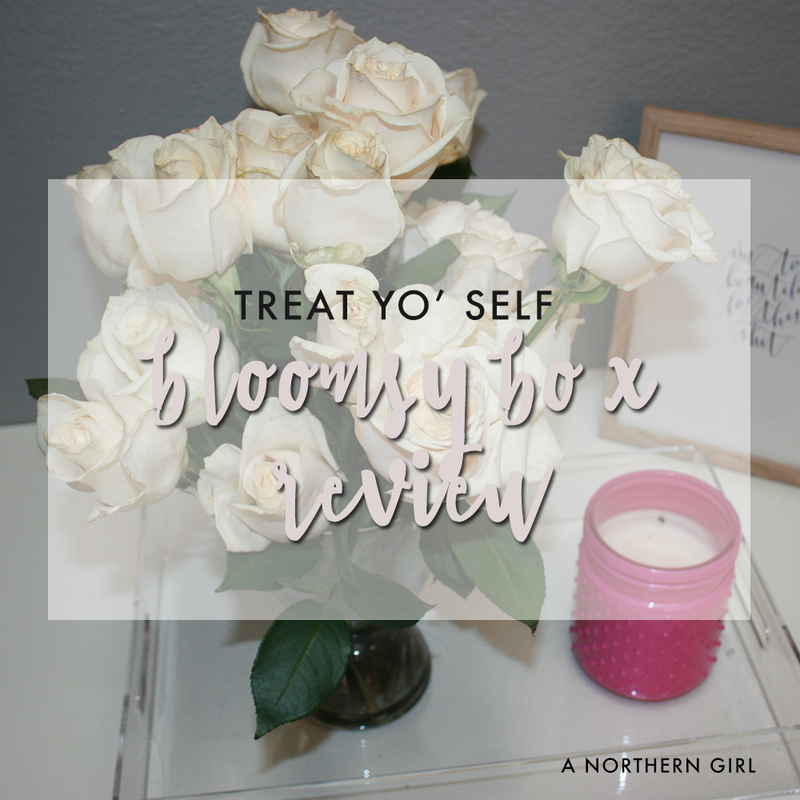 treat yo’ self with bloomsybox! 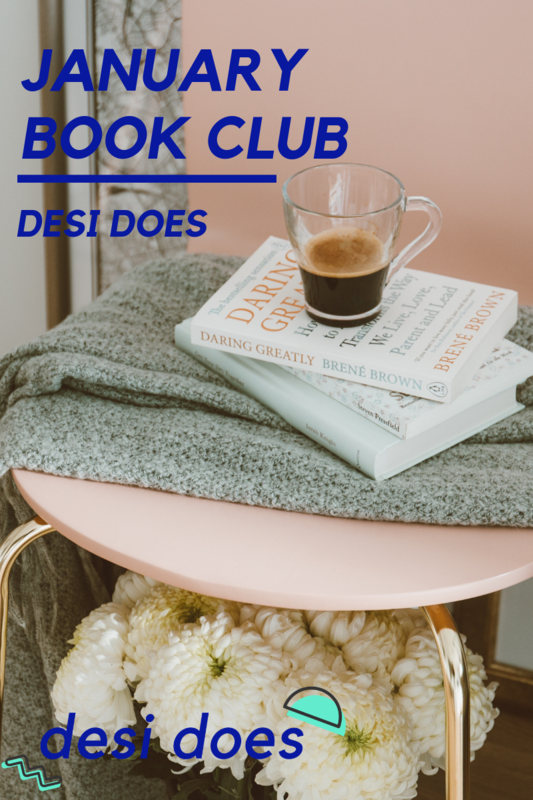 There are all kinds of subscription boxes out there: beauty, style, coffee, wine, books – you name it, there’s a subscription box for it. Now that it’s spring, I found the perfect treat yo’ self box. 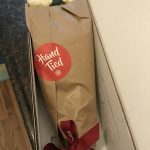 Every month (or week, if you want), BloomsyBox will send a fresh hand-tied bouquet to brighten up your house! There’s something about having flowers in my house that makes me feel really fancy, and I love the way they freshen the sometimes stale air in our apartment. 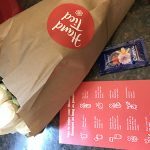 BloomsyBox handpicks their flowers and bouquets, curated based on the season. 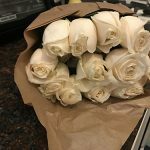 They work with sustainable farms to pick their flowers fresh and ship them quickly – this also helps ensure that you get the maximum enjoyment out of your blooms. Direct shipping also means that you’ll get higher quality flowers at a much lower cost than in a floral shop or grocery store! Single-varietal deliveries also mean that there’s no filler, creating a sleeker look in your vase (which I love.) 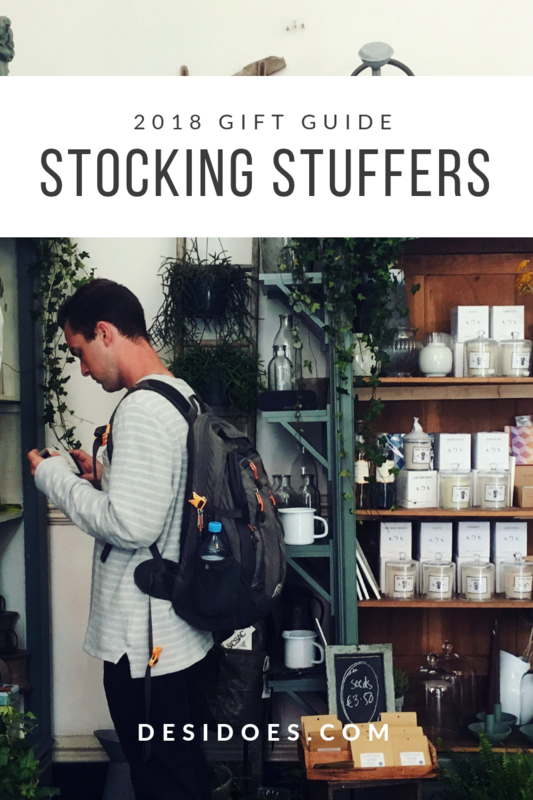 They’re so passionate about your satisfaction that they offer a 100% money back guarantee, and I saw many examples on Instagram of happy subscribers who had certain shipments replaced for whatever reason. The flowers are secured solidly in the box and hand tied, which is a nice extra touch of luxury. Included in the box are instructions on how to care for the flowers to ensure they last as long as possible. 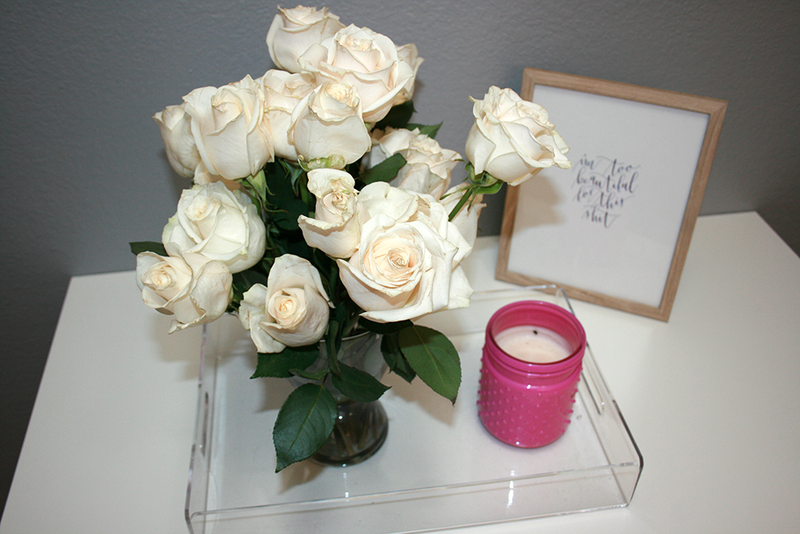 BloomsyBox sent me a beautiful bouquet of white roses, which I excitedly began arranging. 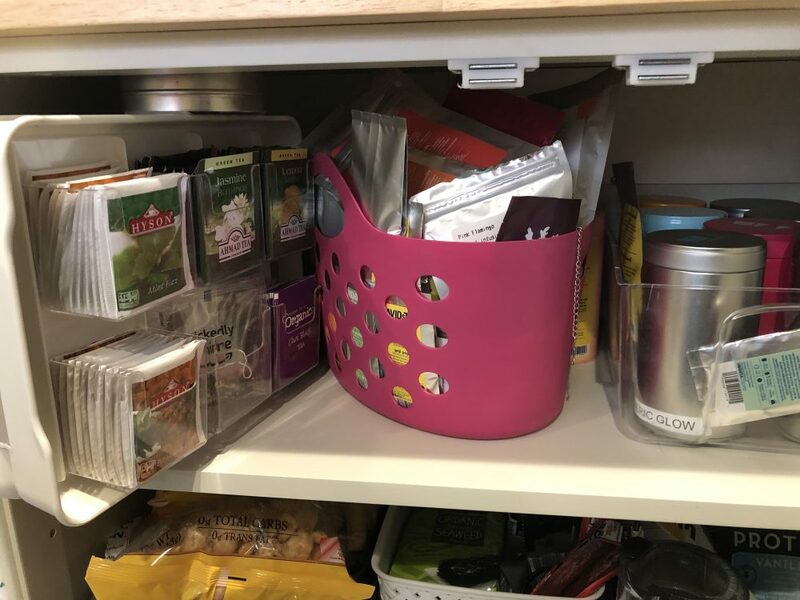 In addition to the flower care tips, they include the flower food sachet as well. 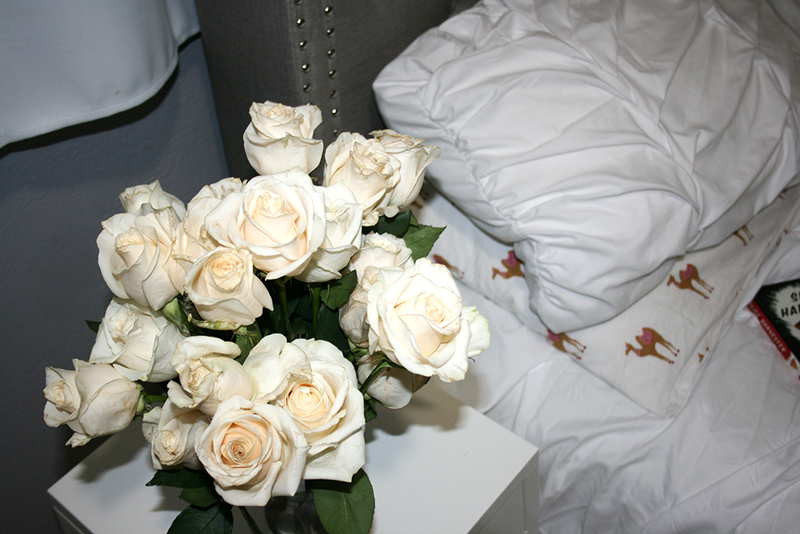 I love to have flowers on my nightstand or at the foot of my bed – there’s just something about waking up and laying your eyes on the colorful blooms and breathing in the soft scent that starts your day off right. There are so many ways to use flowers to brighten up your home, though! Somewhere I’ve never really considered putting them is in my bathroom. I have a window with a nice ledge there, and it may be one of the only spots in the house that gets any direct light. 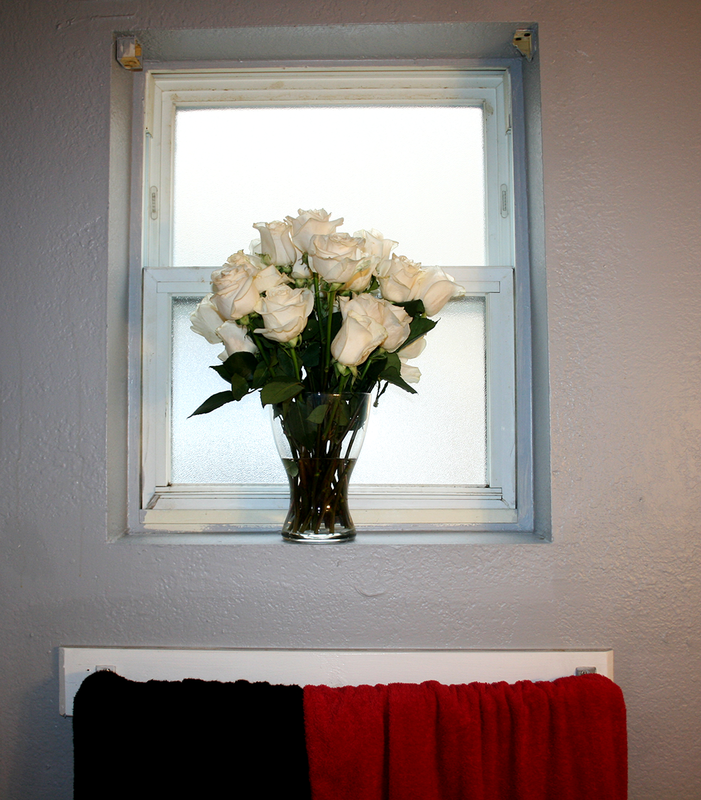 The vase is nicely framed there – plus the roses giving off such a pretty smell in the bathroom doesn’t hurt either! They also look really great as part of our gallery wall – flowers can be artwork too! You could even think outside the box and use the flowers for craftier projects, like flower wreaths or dried bouquets. 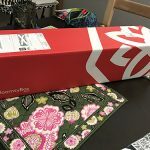 BloomsyBox would make a great monthly gift for yourself, or for anyone else in your life who could use a little sunshine this spring (or all year long)! Are you a flower addict like me? What’s your favorite flower? 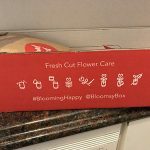 I was provided a complimentary product from BloomsyBox to review, but all opinions are my own, and no compensation was received. Dani and I moved into our new apartment a few months ago and we were #blessed to find an apartment that doesn’t have white walls. They’re a nice cool grey, but they still needed decorating. In my living room style post, I had found a painting that I envisioned for above the fireplace. Dani really liked it too, but neither of us felt like shelling out almost $100 for something to hang up. 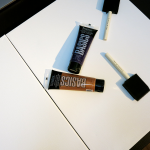 We both really love arts and crafts and DIY, so that’s exactly what we decided to do – paint it ourselves. From there, it’s pretty straightforward. 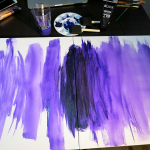 We pushed the canvases together and started from the middle with the sponges, mixing a little black in for the middle to be the darkest part. Pulling the canvases apart, we each took a side to paint. 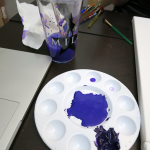 Adding water to thin it out and make the color a bit lighter on the ends, we painted the edges of the canvas as well so it looked like it was continuous when hung. 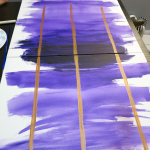 After drying for about an hour, we popped out the gold paint and the brushes, then started on the arrows. For these we painted the edges as well. 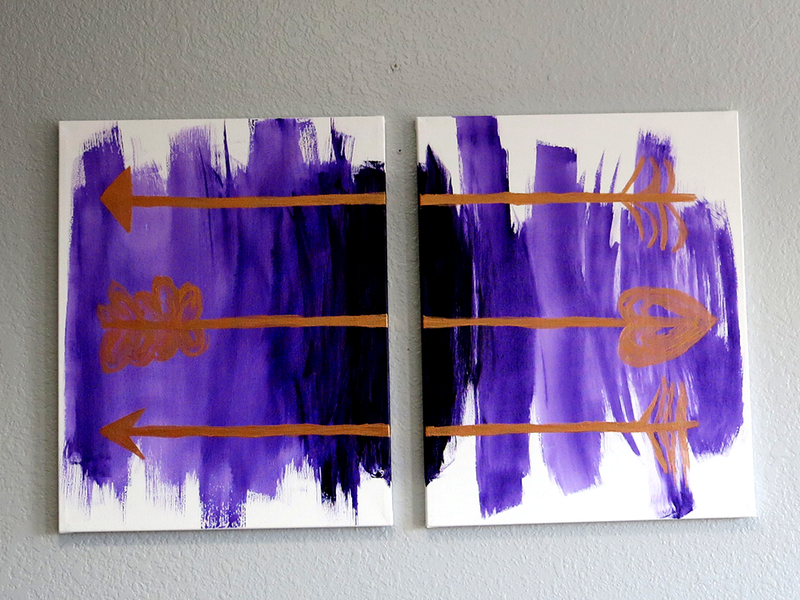 I think it came out really well, and I also love that we both got to do different sides of the canvas. 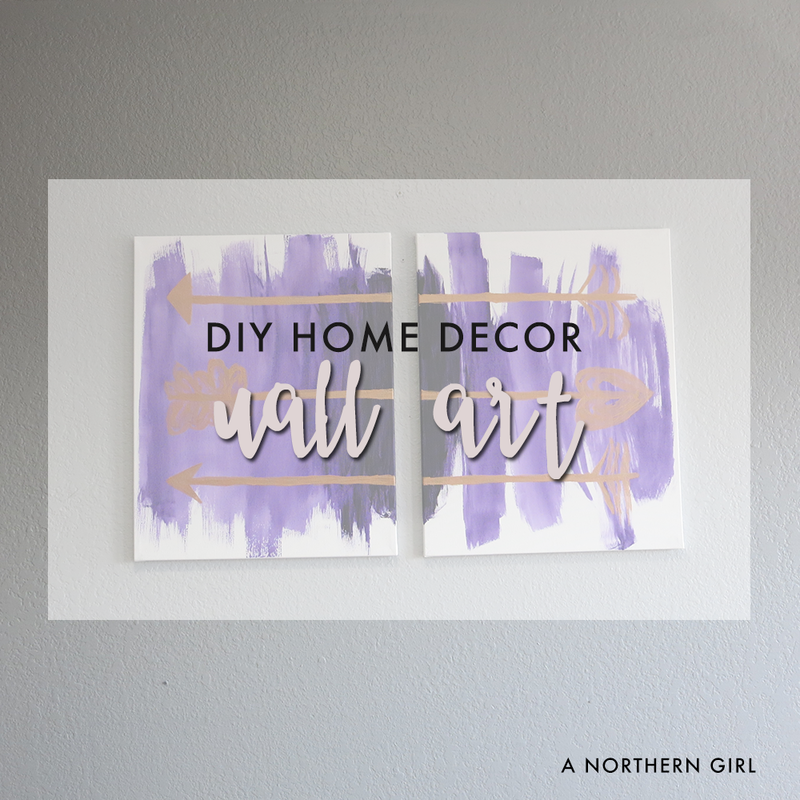 Are you into DIY-ing your home decor? What are your favorite projects?